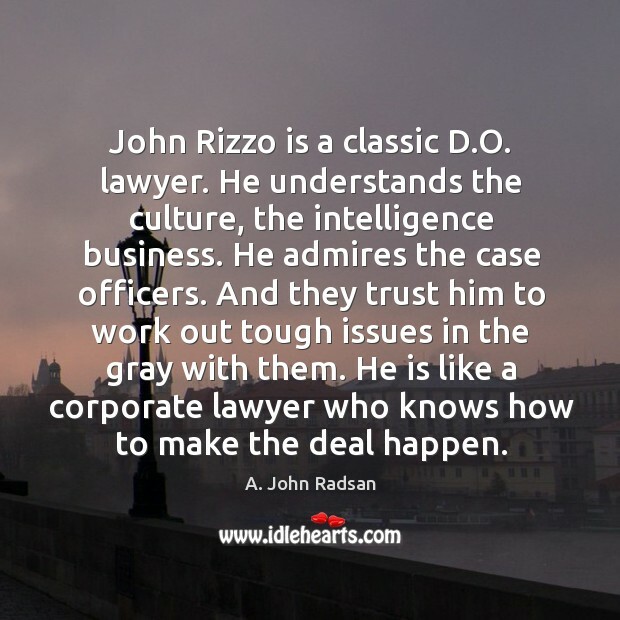 Enjoy the best inspirational, motivational, positive, funny and famous quotes by A. John Radsan. Use words and picture quotations to push forward and inspire you keep going in life! 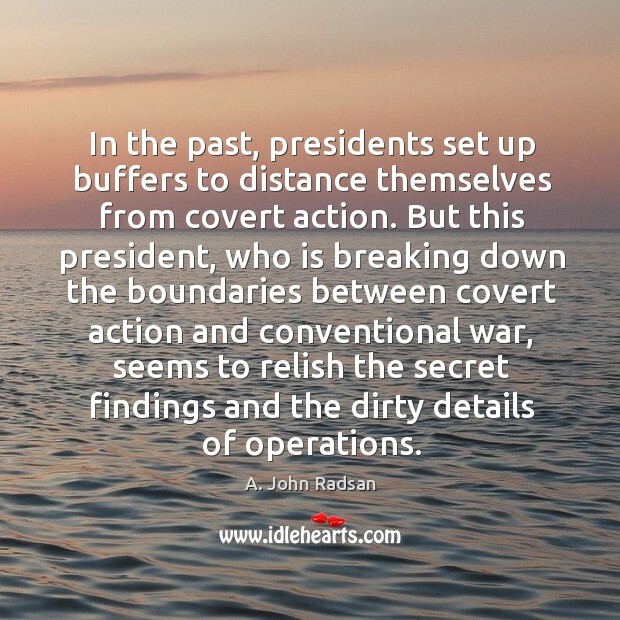 In the past, presidents set up buffers to distance themselves from covert action. But this president, who is breaking down the boundaries between covert action and conventional war, seems to relish the secret findings and the dirty details of operations.